Find out what else we do at Frankfurt Kurnit. And how we can help. Joseph C. Mahon is a partner in our Estate Planning & Administration Group, advising high net worth clients, executives and business owners on family wealth planning, administration and succession. Mr. Mahon regularly assists clients in structuring, documenting and implementing plans and transactions to maximize and protect wealth. For more than 25 years, Mr. Mahon has advised clients on a range of issues, including: Estate Planning, Estate, Gift and Income Tax Planning, Generation Skipping Transfer Tax Planning, State Death Taxes, Family Office Services, Family Governance, Liquidity Events, Business Succession, Insurance, Lifetime Gifts, including Valuation Discounts, Grantor Trusts, Dynasty Trusts, Family Limited Partnerships, Intra-Family Loans, Grantor Retained Annuity Trusts, Private Annuities, Qualified Personal Residence Trusts, Crummey Trusts, Trust Terminations, Trustee Succession, Trust Protectors, Pre-Nuptial Agreements, Powers of Attorney, and Health Care Proxies. 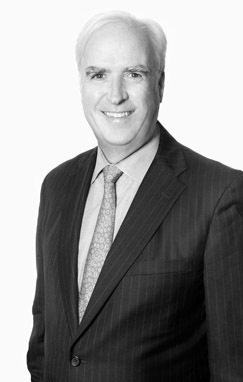 Mr. Mahon also regularly advises clients on trust and estate litigation and dispute resolution, including contested guardianships, and on tax and other issues unique to Non-U.S. persons and assets. Mr. Mahon is a frequent writer on Trusts and Estates matters. His articles have appeared in Trusts & Estates magazine, Estate Planning magazine, New Jersey Lawyer, Unique Homes, and other publications. His leading 2011 article on the impact of income taxes on estate planning pursuant to recent tax changes -- "The 'TEA' Factor: How Much Appreciation Must Occur for a Gift to Provide Estate Tax Savings Greater Than Income Tax Costs? "— was published by Trusts & Estates magazine in August 2011. Mr. Mahon has lectured frequently on estate planning for leading organizations including New York City Bar Association, New York State Bar, New Jersey Institute for Continuing Legal Education, New Jersey Society of Certified Public Accountants, and Princeton Bar Association. Mr. Mahon served as a member of the New York City Bar's Committee on Trusts & Estates (1987-1989), and the New York State Bar Association’s Committee on Legislation -- Trusts & Estates Section (1990-1996). He has also served on several charitable boards and is currently a member of the Board of Trustees of the Hudson Valley Shakespeare Festival, in Cold Spring, New York. He is admitted to practice in New Jersey, New York, Pennsylvania and Texas. Joseph C. Mahon speaks on Estate Planning Administration at the New York City Bar Association. Joseph C. Mahon speaks on Estate Planning Administration at Fordham Law School. Joseph C. Mahon speaks at NYC Bar’s next NJ BTG program on NJ Basic Estate Administration. More information here. Joseph C. Mahon speaks at the 33rd National IRS Estate Planning Panel in New York. Joseph C. Mahon speaks on Estate Planning Administration at NYCBA. Joseph C. Mahon speaks on Estate Planning Administration at Fordham Law School from 4:15 PM - 5:30 PM. Joe Mahon and Elizabeth Anderson present 95 Theses for Managing Your Wealth at the Barron's Wealth Managers Conference in Las Vegas on February 5th and 6th. Joseph C. Mahon speaks on "NJ Estate Administration" for the New York City Bar's Bridging the Gap program. Joseph Mahon speaks on "Crossing State Borders in Trust & Estate Law: What the New York Practitioner Needs to Know About Florida, New Jersey, Delaware & Connecticut" at the New York City Bar. Joseph Mahon presents on estate planning for the NYSBA at New York's Hotel Pennsylvania. Barbara Shiers, Joseph C. Mahon, and Peter Prentis of Prentis Wealth/Wells Fargo host "Investing and Estate Planning: New Laws and Strategies" at Frankfurt Kurnit. Joe Mahon presents a CLE at the 16-hour New Jersey Bridge the Gap program. Super Lawyers magazine lists thirty-nine Frankfurt Kurnit attorneys in its 2018 edition. Read more. We are pleased to report that Best Lawyers — the oldest and one of the most respected peer reviewed lawyer recommendation services — continues to recommend Frankfurt Kurnit. Read more. Is Now the Time to Revisit Your Estate Plan? On December 22, 2017, the Tax Cuts and Jobs Act (the "Act") was signed into law. The Act temporarily doubles the estate, gift and generation-skipping transfer ("GST") tax exemption amount. Read more. Best Lawyers "Best Law Firms" ranked Frankfurt Kurnit nationally in "Tier 1" in Advertising, Copyright, Entertainment - Motion Pictures and Television, and Trademark Law, "Tier 2" in Litigation - Intellectual Property, Media Law, and Trusts & Estates Law, and "Tier 3" in Commercial Litigation and Regulatory Read more. In a joint appearance on September 30, 2016, Governor Chris Christie and legislative leaders announced a bipartisan agreement to repeal the New Jersey Estate Tax. Read more. WealthManagement.com featured Joseph C, Mahon's article "IRS Clarifies DSUE QTIP Election and Relief for Unnecessary Elections" about Revenue Procedure 2016-49. Read more. Super Lawyers listed thirty-eight Frankfurt Kurnit attorneys in its 2016 edition. Read more. There's important news for family business owners and their heirs. Read more. In its 2017 edition, Best Lawyers "Best Law Firms" ranked Frankfurt Kurnit nationally in "Tier 1" in Advertising, Copyright, Entertainment - Motion Pictures and Television, and Trademark Law, "Tier 2" in Litigation - Intellectual Property, Media Law, and Trusts & Estates Law, and "Tier 3" in Commercial Litigation and Regulatory Enforcement Litigation. Read more. On April 1, 2016, the New York State ("NYS") estate tax exclusion amount increased to $4,187,500, further narrowing the gap between the NYS estate tax exclusion amount and the Federal estate, gift and generation-skipping transfer ("GST") tax exemption amounts ($5,450,000 as of January 1, 2016). Read more. Super Lawyers listed thirty-six Frankfurt Kurnit attorneys in its 2015 edition. Read more. Joseph C. Mahon's article about controlling the spiraling cost of wealth management was published by Wealth Management. Read more. Super Lawyers listed thirty-three Frankfurt Kurnit attorneys in its 2014 edition. Read more. The current Federal estate, gift and generation-skipping transfer (GST) tax exemption amounts are projected to increase in 2015. Read more. On March 31, 2014, Governor Cuomo signed legislation to implement the New York State fiscal plan for 2014 - 2015. The legislation makes broad changes to the New York State estate and gift tax laws as well as some more technical changes to certain trust income tax rules. Read more. Super Lawyers listed twenty-nine Frankfurt Kurnit attorneys in its 2013 edition. In addition Super Lawyers recognized Terri Seligman in its "Top 50 New York Women Lawyers List". Read more. The current Federal estate, gift and generation-skipping transfer tax exemption amounts are projected to increase in 2014. Here are he projected adjustment, compared to 2012 and 2013. Read more. As you probably know, two recent Supreme Court cases have altered the estate planning landscape. Here's a summary of what happened with the Defense of Marriage Act - and suggestions for how to proceed. Read more. As a result of the American Taxpayer Relief Act of 2012 signed by President Obama on January 2, 2013, the New Year has brought with it several permanent changes to the Federal estate, gift and generation-skipping transfer tax laws that are unexpectedly more favorable than those predicted in the closing months of 2012. Read more. Estate Planning Magazine published Joseph Mahon's article on how spousal access trusts can help families take advantage of soon-to-expire estate and gift tax exemptions - without losing control of their property. Super Lawyers listed twenty-two Frankfurt Kurnit attorneys in its 2012 edition. Read more. The Tax Relief Act of 2010 was overwhelmingly passed by Congress and signed into law by President Obama on December 17, 2010. The new law provides numerous tax benefits for businesses and individuals for the next two years. Read more. The end of 2010 brings more than the usual range of estate planning opportunities.As year-end approaches, so does the expiration of the Bush era tax cuts. The lame duck Congress' willingness to enact tax legislation before 2011 looks increasingly unlikely. Read more.